We have big plans for the future and we need your help to continue to build and renovate. Did you know that your gift does much more than help families escape from unsafe, unhealthy living conditions? You're helping families to break the cycle of poverty and build long-term financial security. Habitat's affordable, non-profit housing payments free up money for food, child care, medicine and other necessities. Research has shown that decent housing improves health, increases children's educational achievement and strengthens community ties. Your donations will help families like the Hitch's, Hayes and Matthew's transform their lives and, at the same time help the Church Street neighborhood prosper. By giving a hand-up to low-income neighbors, you not only enrich their lives but also improve the quality of life for all of us in Wicomico County. Habitat has created neighborhoods of families invested in their community, who pay taxes and care about their children's schooling. Your good work touches us all. Because of YOU we have completed 63 Habitat homes! Please do not add this email to your list except for an email confirmation. You already have one of my emails where I receive info from you. Thank you. Given as a tribute to Linda Jones' work for Habitat! MD Tax credits are available for the Gourment Gold Sponsorship level for our Chefs for Habitat event. Contact Molly at 410-546-1551 or molly@wicomicohabitat.org for more infomation. 425 Coles Circle is complete! The Bailey family took ownership in December of 2016. 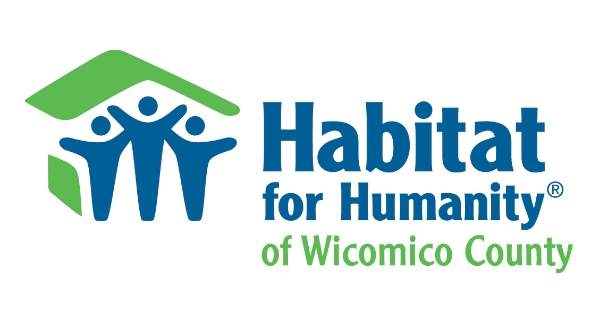 Thank you so much to everyone who donated and volunteered in help completing our 63rd Habitat home in Wicomico County.